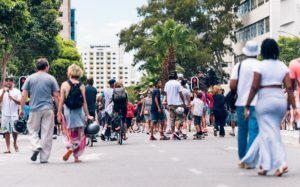 On Sunday January 15 Cape Town city centre will become a picture of idyllic urban living as skateboarders skate, painters paint and children play along Bree and Longmarket streets, which will be closed to motorised traffic for the day. Open Streets City Centre is the latest in a series of street closures across the breadth of Cape Town. 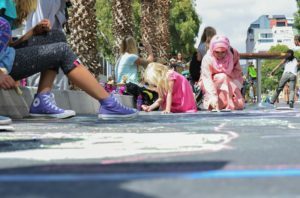 From Langa to Bellville and Observatory to Mitchells Plain streets have been closed for a day and homes and businesses have been opened as Open Streets moves across the greater city encouraging residents to reclaim the streets as places to connect and commune. Open Streets Cape Town co-founder and managing director Marcela Guerrero Casas told African News Agency (ANA) on Wednesday: “We are working to create a network of Open Streets (temporary car-free streets) that can help us connect communities across Cape Town. “On Sunday, we are taking a small but important step by extending from Bree to Longmarket Street so that we can all start to envision how the city centre could be improved if we prioritised people over vehicles. We are looking forward to building on that in the course of the year,” Guerrero Casas added. Inspired in Bogota’s Ciclovia, the aim of Open Streets is to connect different parts of the city by enabling citizens to use streets freely, safely and creatively. The concept, which is changing neighbourhoods around the world, entails the creation of a temporary network of car-free areas and routes throughout a city. “As cities around the world evolve to become more human centred, we must also begin to reimagine our city and turn it into a space not only built and meant for vehicular traffic, but more so for pedestrians and cyclists,” said Brett Herron, Mayoral Committee Member for Transport for Cape Town. “I want to encourage everyone to come out on the day and participate in reinventing the CBD for a few hours,” he added. 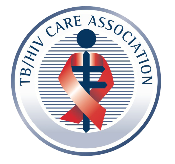 Aspects of public health beyond the dangers of road rage will be covered on Sunday too, with Cape Town NGO TBHIV Care offering services including testing for TB, STIs and HIV. Open Streets’ Guerrero Casas added: “We believe Open Streets can bring our neighbourhoods a little closer together and connect us all in an inclusive and playful environment. Open Streets’s key partners include the City of Cape Town, the Millennium Trust, the Nedbank WWF Green Trust, KFM and Woolworths.